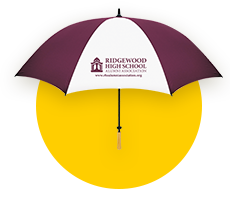 Welcome to the Ridgewood High School Alumni Association online community. 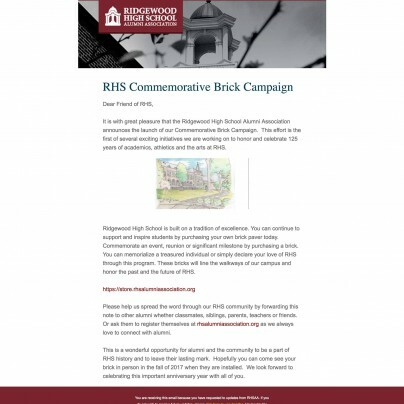 Please watch the Brick Storytelling video to learn more about how you can support the RHSAA. Then head to our store store to purchase your own brick paver. 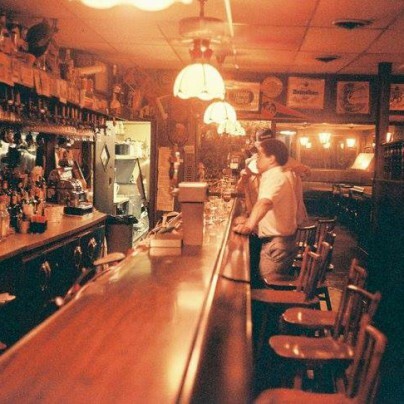 We want to connect you to your past through our dynamic online experience. Looking to get in touch with an old friend? Find your alumni chair now. RHS Alumni All-star band performing at the Class of 1977 40th Reunion. 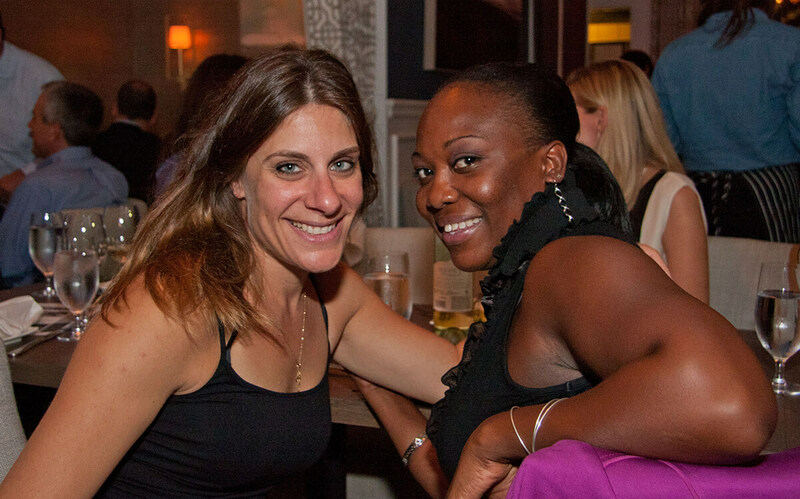 On 22 July there will be a party for all friends and family of Ridgewood High School. We are seeking to honor all which is good and true about what for the longest time was referred to as the "American Dream." 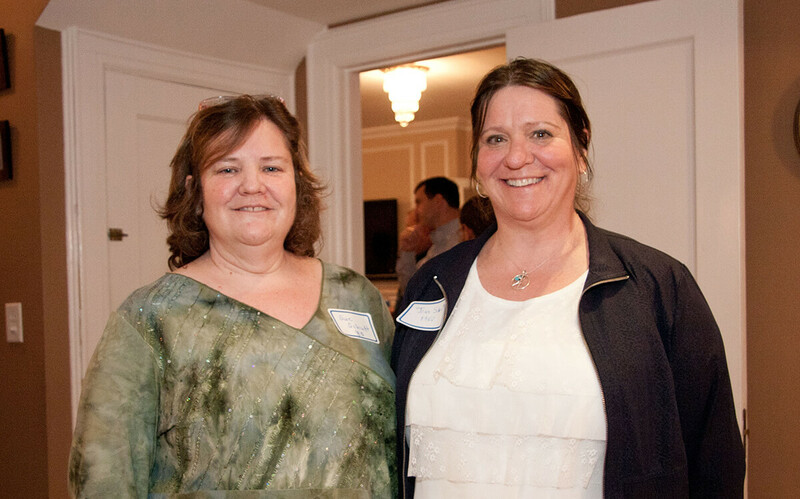 RHS Class of 1982 35th Reunion is 9 September! 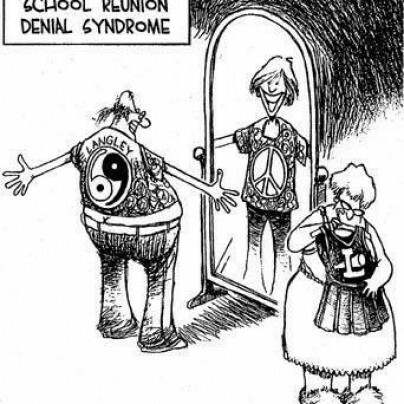 From my experience this holds true for reunions 5-35 too! Cindy Neidig Myer RHS Class of 1977 is a wonderful role model and would be an excellent choice for a speaker at a future RHS graduation. 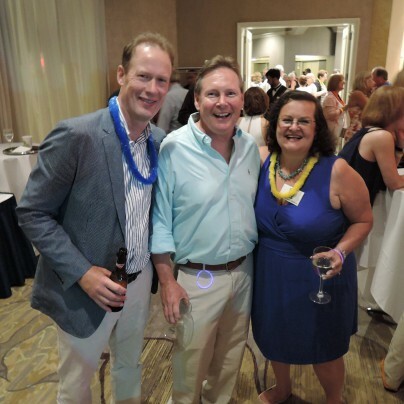 RHS Class of 1985 Graduation Day Festivities. 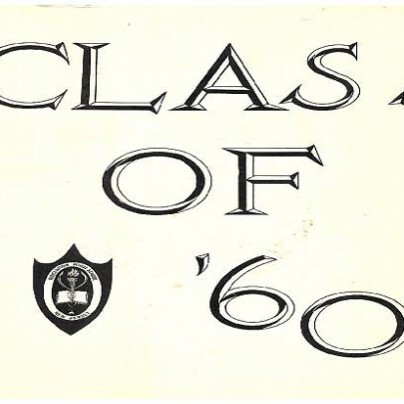 Forty-nine years ago today Class of 1968 Graduates. Hope to see you all September 20-22, 2018 for the huge 50th Reunion!! Hello Ridgewood community. My name is Daniil Krimer, I am a RHS alumni from 2010. The non-profit theater company I started is producing a play in NYC this weekend. If you're looking for something to do please come check it out. 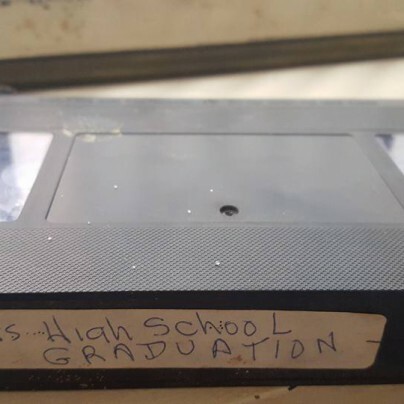 Class of 1992 time capsule. Is there a class of 68 group? 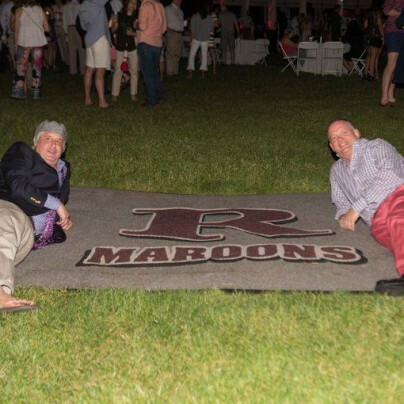 RHS Class of 1962 and 1960. Quite an achievement. Hope this puts a smile on the faces of all of you who had my Dad at GW. What a wonderful day!! 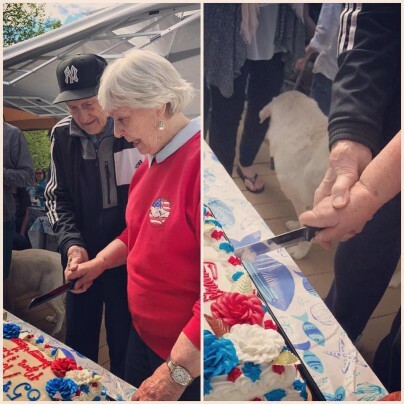 Happy 65th anniversary Mom and Dad. What a great example of love. 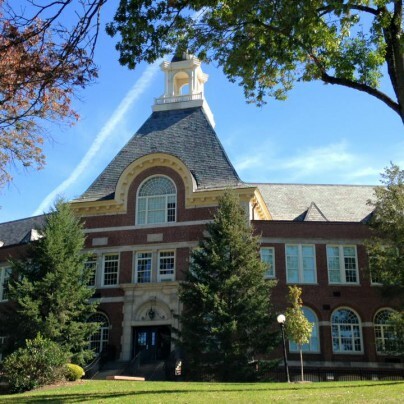 Village detectives and district officials were trying to identify who pulled the fire alarm at Ridgewood High School on Monday. 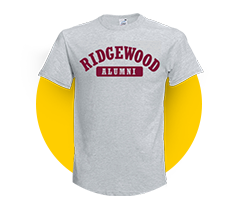 Hey Ridgewood Alumni! 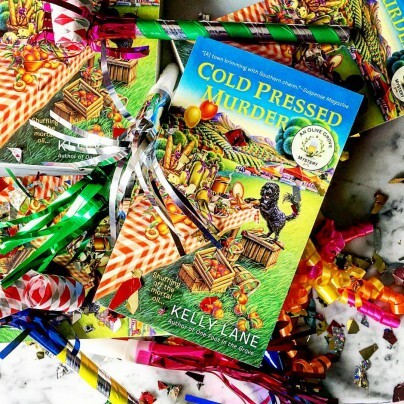 I'm excited to share that I'm doing a book signing at Bookends ( http://www.book-ends.com ) on Monday June 26 starting at 6pm. I'd love to see you! I'm so proud to host this signing in my hometown!! New Players photos from 1974-1978. Wish we had a place to post them for everyone to see. 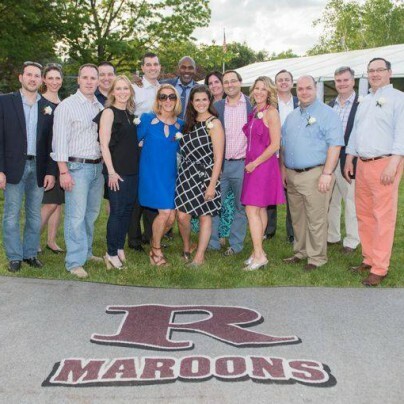 The folks who made the RHS 125th Anniversary Party such a happening event: The RHS Alumni Association Trustees, the dancers who didn't know we would photograph and post their gyrations on the Internet, and the one and only DJ Nick Cannon. Very cool write up about one of very own alums. 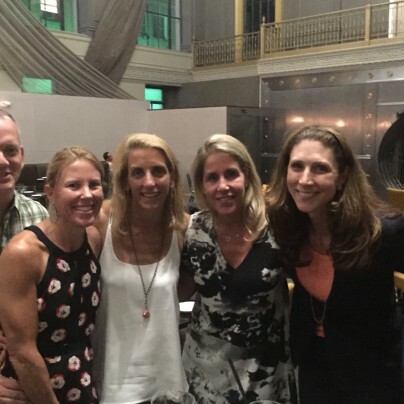 RHS Class of 1987 30th Reunion. 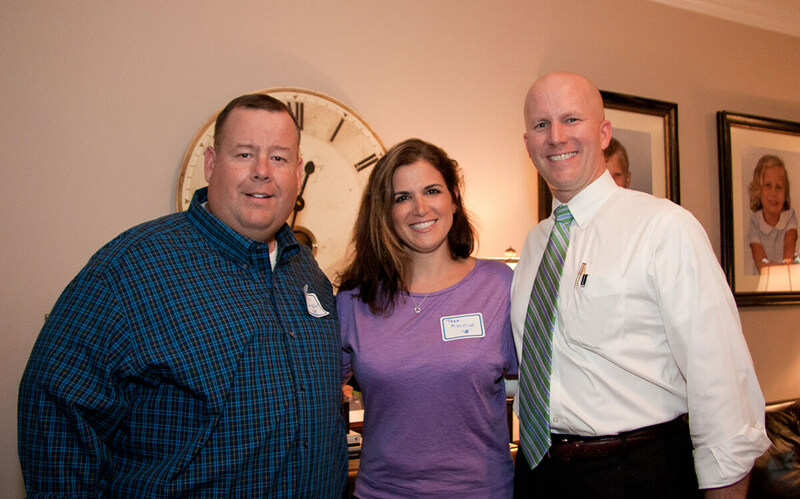 RHS alumnus Tom Gardner leading the way in assisting school anti-bullying programs. It's Party Time..Don't Miss Out. Register today. 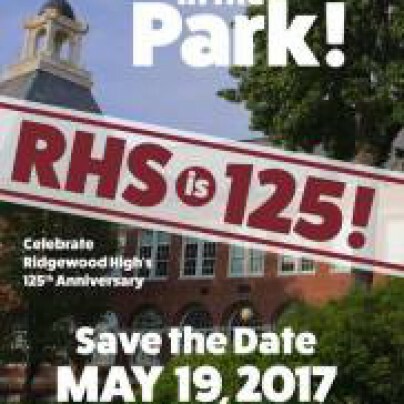 SHOUT OUT: Food stations, hors d'oeuvres, beer, wine and speciality drinks -- along with musical entertainment -- will help celebrate Ridgewood High School's 125th anniversary at the "Party in the Park" on May 19. 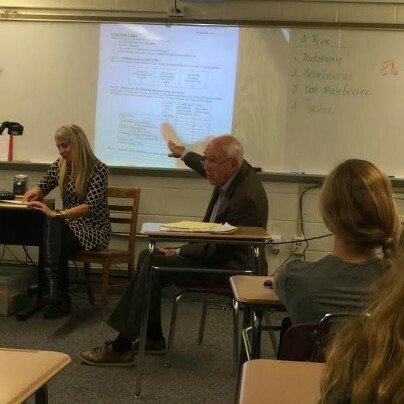 Rewarding day for two RHS graduates, James Stroker and his daughter Ali Stroker. Congratulations! 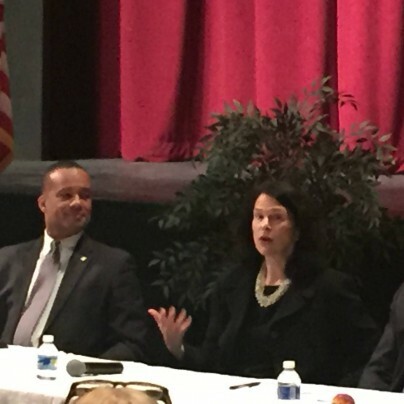 Carrie McIndoe RHS Class of 1978 has a new consulting engagement with the National Minority Supplier Development Council (NMSDC). Mark your calendars for this Thursday, 2 p.m. Tickets go on Sale for Party in the Park. 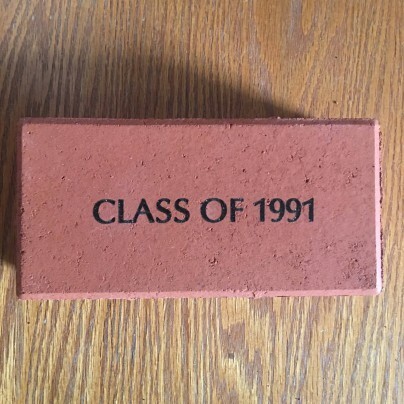 Just a reminder that if you would like your RHS brick installed before graduation, today is the last day to order. 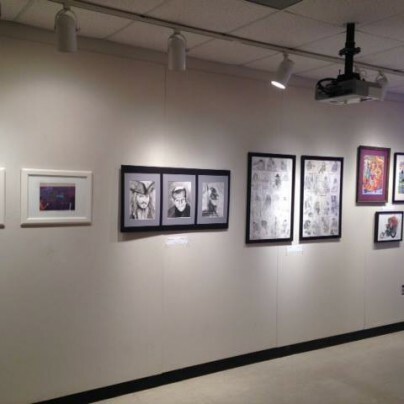 While the program is ongoing the first install will be over spring break. Good morning everyone. This is Kelley Sue Martin.I'm here today to let everyone know that I'm working today at Applebees in Northvale My Hours today are 11Am-3Pm. Please stop into say hello and have a great day today❤️❤️❤️🤘🤘🤘🤘💯💯💯💯💯🎉🎉🎉🎉🎉🎉🎉🎉🎉🎉🎉💁💁💁💁. Party at Veteran's Field on 19 May 2017 between 7PM and 11PM. 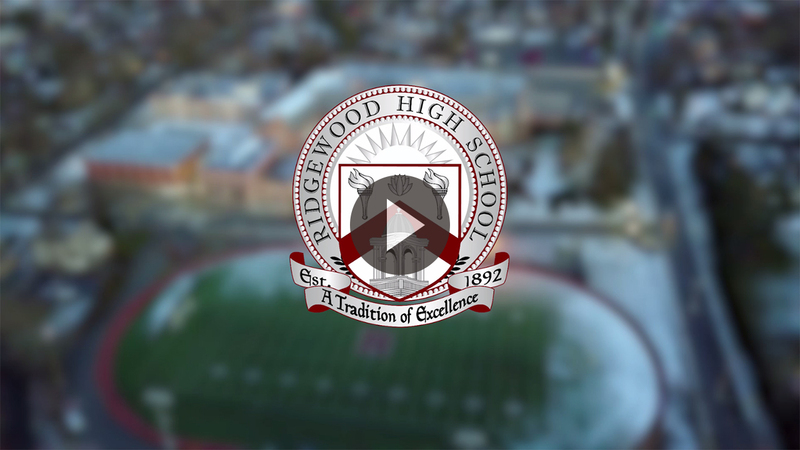 We are going to celebrate Ridgewood High School's 125th anniversary! 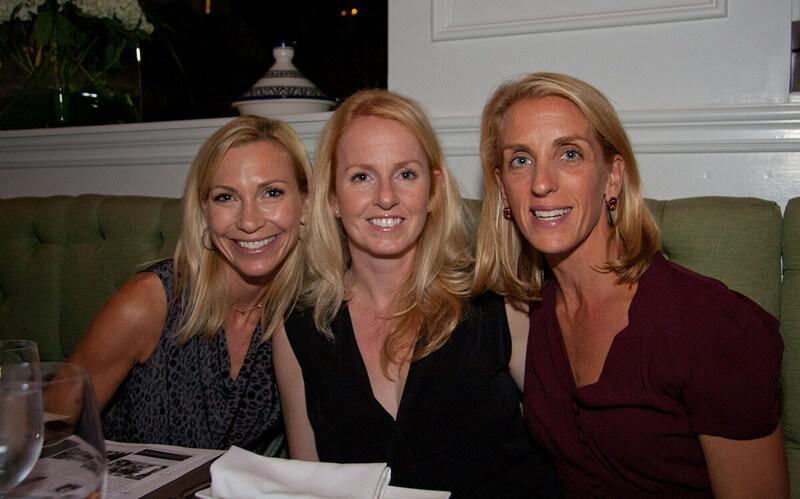 Paul McCubbin shared Kelly Lane's photo to the group: Ridgewood High School Alumni Association. 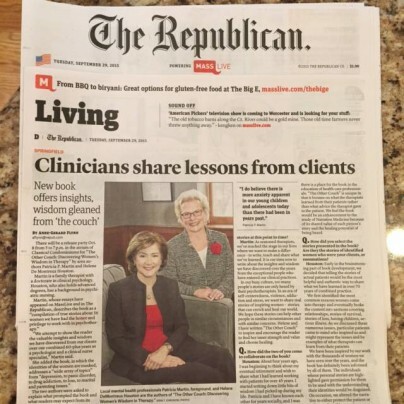 RHS is looking to connect with Health Professionals. Please see below. If you are an alumni that is a bonus. The RHS Alumni band is currently holding auditions for singers and a horn section. Alumni from any year are welcome. 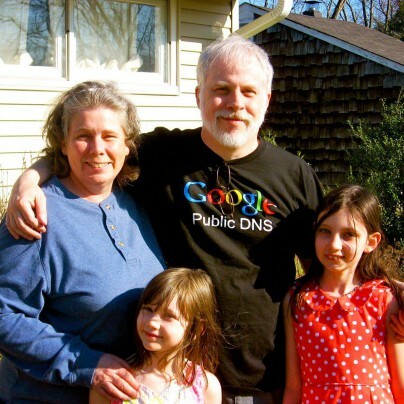 Please private message Jim Velordi. 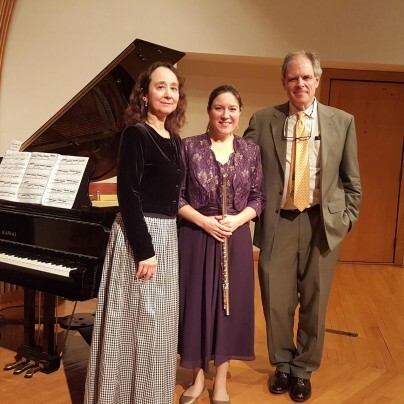 The date for the performance is July 22nd 2017 in Bergen County. 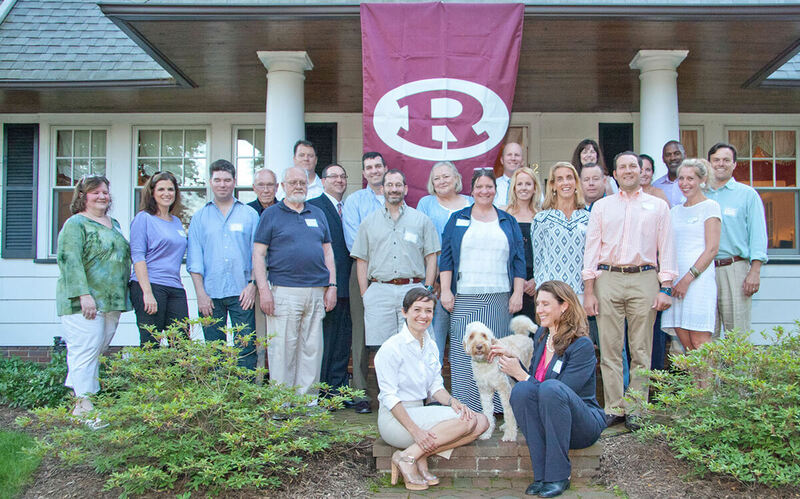 The RHS Class of 1977 will be holding its 40th Reunion this coming July 22nd. 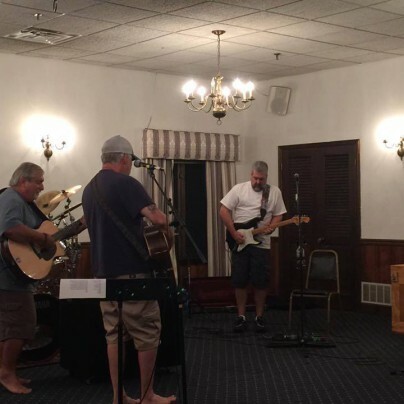 We are getting the original band back together! Our site: https://www.maroonsonline.com Location of the BBQ, hotel information, and the ticket price will be decided in January. 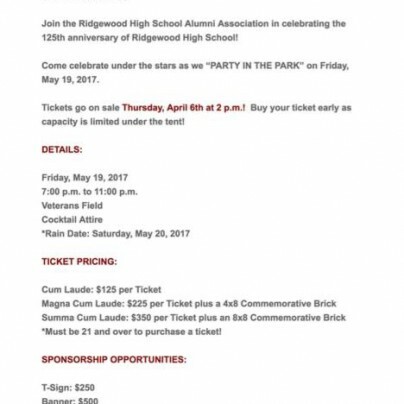 Hey Ridgewood High School Alumni Association Friends! The Most Popular Deal Of Jersey Is Back! Stock yours now before they're gone-->> https://goo.gl/TGvzS2 . 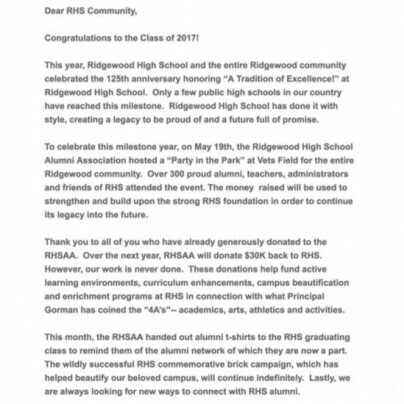 Ek Venin shared his post to the group: Ridgewood High School Alumni Association. 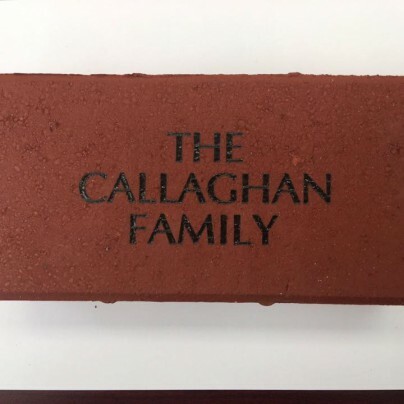 It is with great pleasure that we are kicking off the RHS Commemorative Brick Campaign. Details are below. Any questions let us know. Awesome effort at RHS, please consider participating. I'm looking forward to seeing everyone at the next Ridgewood High School class of 1996 Reunion. I wish everyone a blessed Thanksgiving. RHS Class of 1981 making us proud by the strong turnout. I only wish we would mention alumni more often on all avenues of the Internet. Paul Albus was one cool dude. Peace. 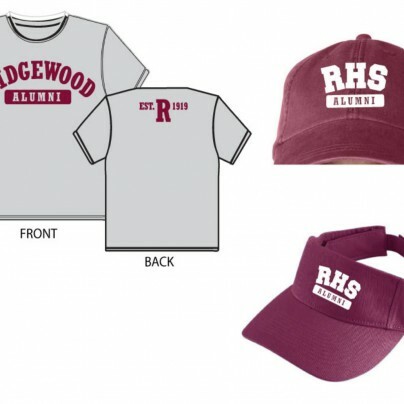 Please share with any RHS Class of '86 alumni!!! 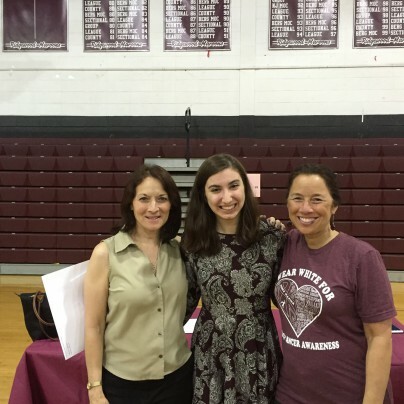 Glad to hear that books remain an important part of this RHS graduate's life. All his former teachers and principals from Ridgewood, as well as friends and family, are surely somewhere nodding their heads in agreement. Congratulations! Sharing Big News -- RHS Class of 1977! 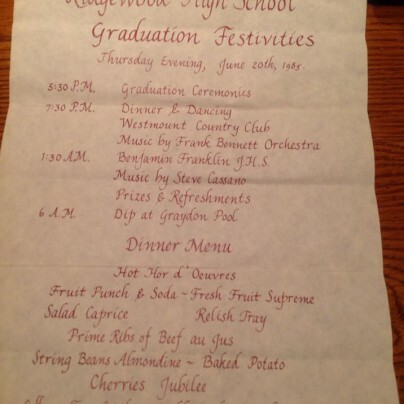 Paul S. R. Chisholm shared Vintage Bergen County's photo to the group: Ridgewood High School Alumni Association. I assume Geist is an alumn. Hello all! Class of 1966! 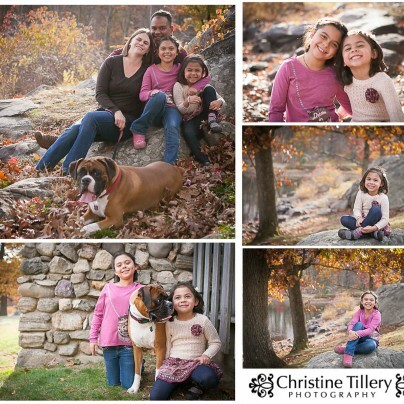 More pictures from a most happening adventure of a day. 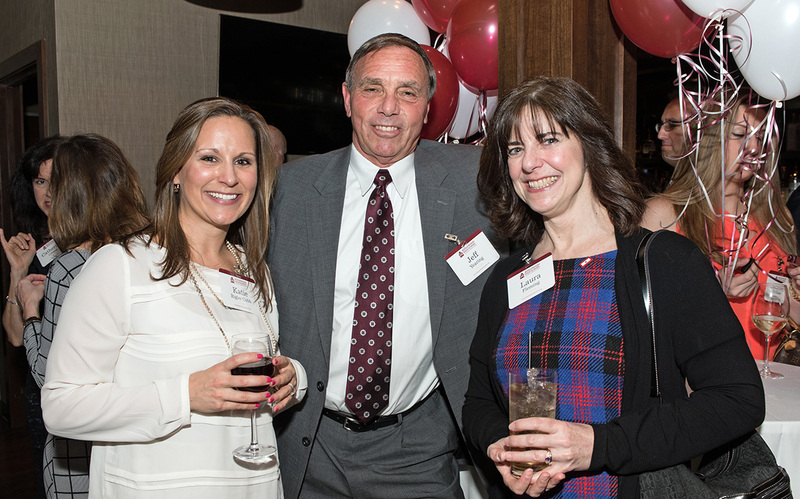 RHS Class of 1976 40th Reunion. May you have many more and be able to share your thoughts and pictures with the rest of us. Great job! 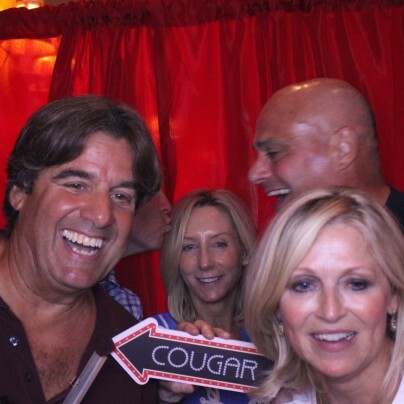 RHS Class of 1976 showing us all how to make a 40th Reunion an all-inclusive fine time. Can anyone help me get a few current alumni directories? Class of 1991. Our reunion is set. October 22nd at PWT Loft (above old JB Winberries). Please make your payment via the link below. Looking forward to it. What Jens Larson, '77 (?) is up to. Grads of 1968, wasn't our motto "the class of 68 is great"? Congratulations to Michael Thurston RHS '16. Bergen Record runner of the year. A terrific young man with great parents!!! The first Ridgewood High School gymnast to receive the $1000 Tony Napier Gymnastic Scolarship is senior Teighan Shore. Congratulations, Teighan! 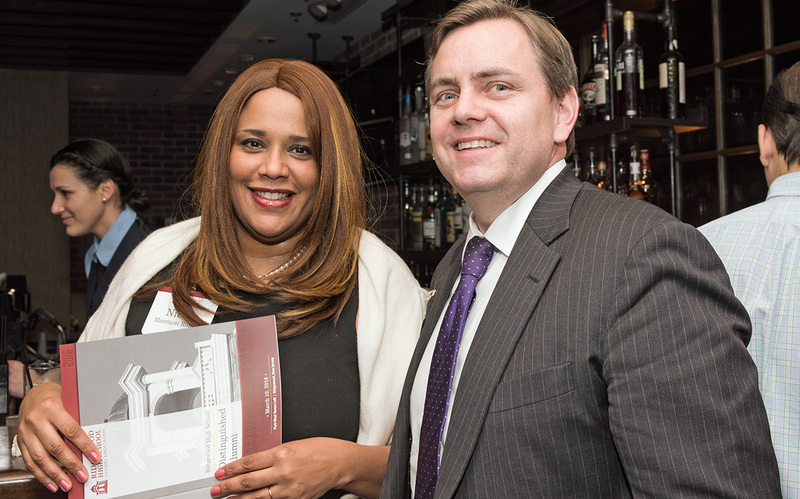 Francesca Cavallaro Wall of the Class of 1977 has a new business in Washington, DC. She is a women who can get things done in our nation's capital and beyond. Bravo! 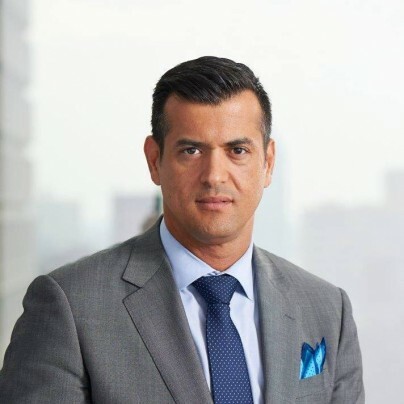 On this Tuesday, May 10, 2016 Ramon M Hache (RHS Class of 1991) was elected to serve on the Ridgewood Village Council. It is important to note that Ramon is all time highest vote achiever in Ridgewood's history. 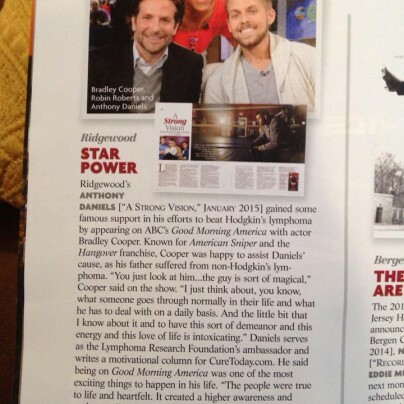 Awesome write about one of very own alumni returning back to Ridgewood. 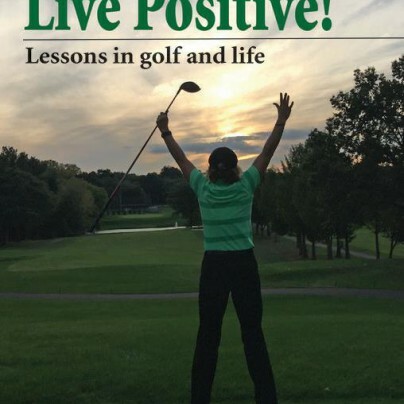 Kerry will present to students at RHS today. So happy to share this. If anyone would like to attend tickets are still available although limited at this time. 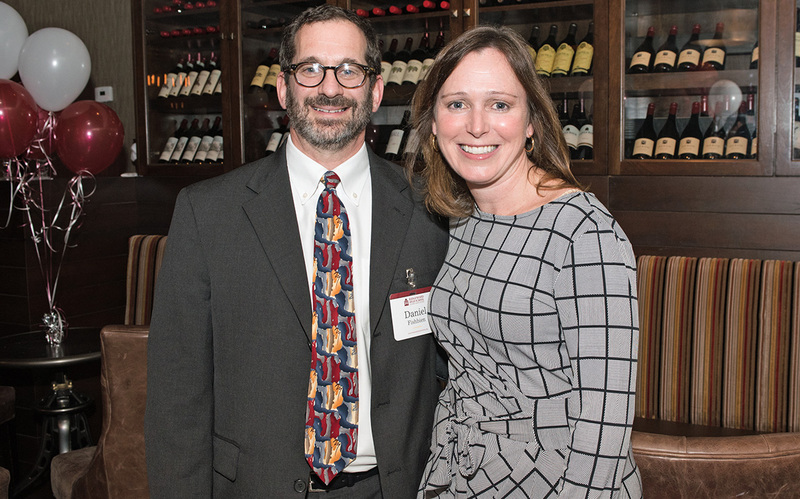 Congratulations to the newest inductees. 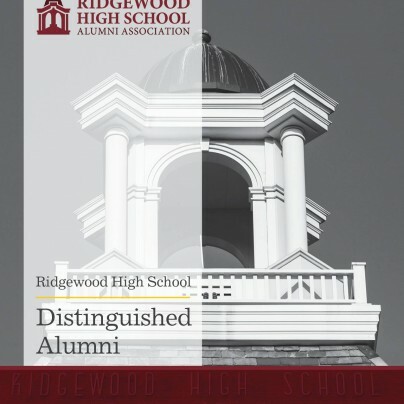 The Ridgewood High School Alumni Association is pleased to announce the 2016 inductees for our Distinguished Alumni program. Please join us in congratulating them. !!! CLASS OF '91 !!! Jamboree needs you. There are 20 RHS alumni who are participating in Jamboree this year. We are having a contest who can raise the most money from our class and I want '91 to win it. 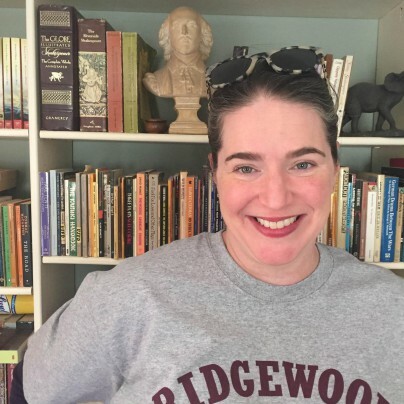 Siobhan Crann Winograd shared Beth Van Emburgh Olkowski's post to the group: Ridgewood High School Alumni Association. Looking to connect with a RHS architect or landscape designer. Any thoughts? 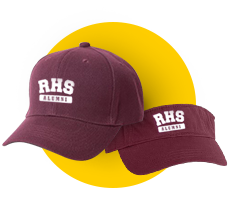 Calling all RHS alumni. 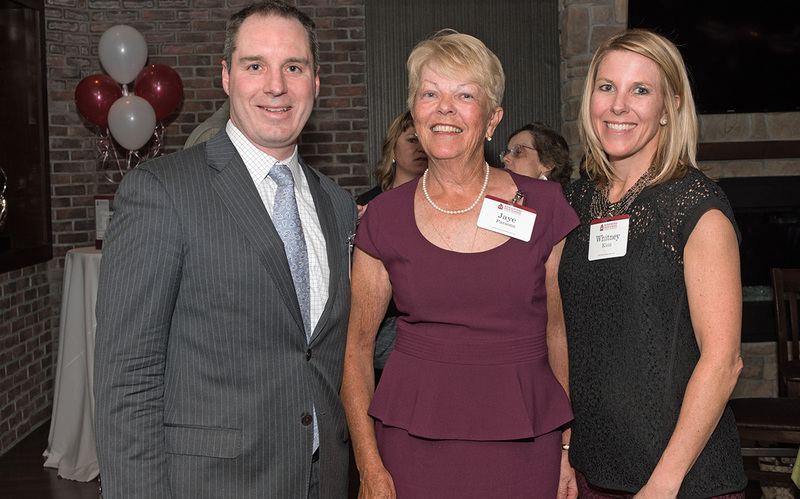 We are looking to connect with any of the past recipients of the Distinguished Alumni award. 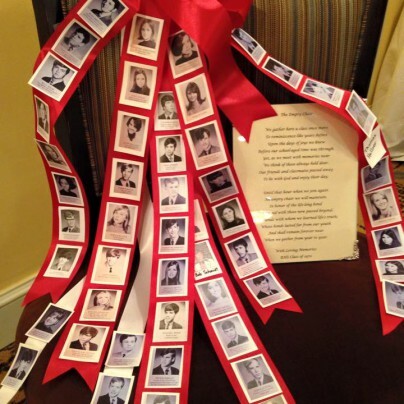 If the recipient is deceased, we would love to connect with their family or friends. Please contact me directly, thanks. Sally Franz is from class of 1969 I believe. Please read, listen and sign. 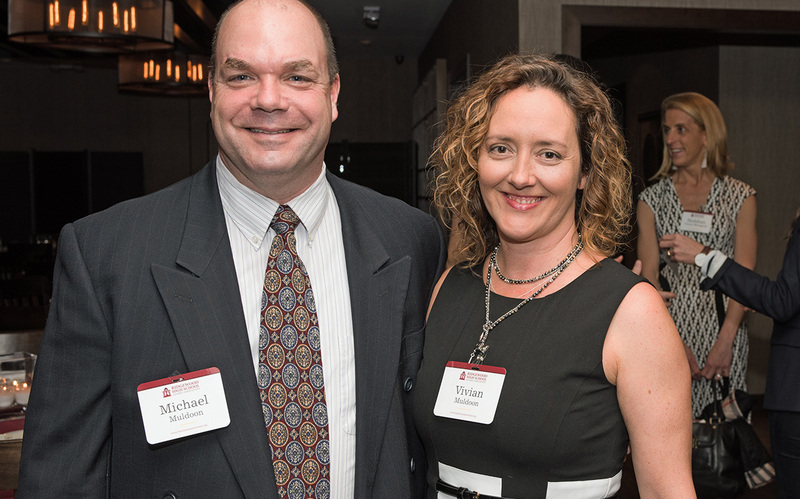 RIP, Eric C Larson, '71. 7/15/53 - 2/2/16. 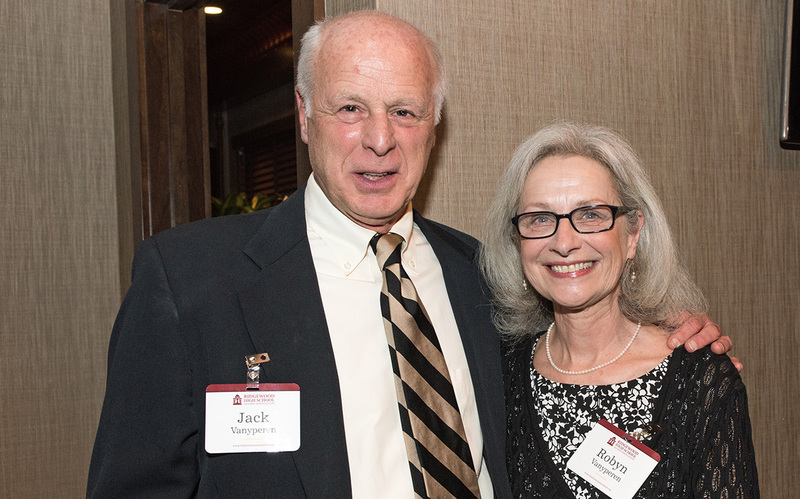 He epitomized the phrase, "Fought a courageous battle against cancer." Jack Zerbe,RHS Class of 1975, making all the RHS Little Theater Alumni very proud. RHS Class of 1976 on their big day. 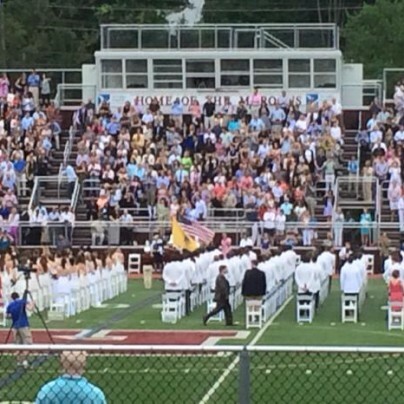 Nobody does like Ridgewood High School, especially on a pleasant day in June. 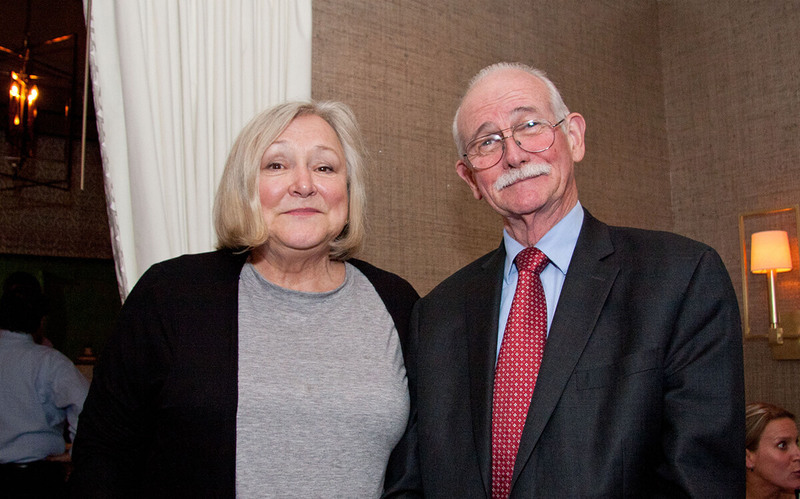 James Stroker, Physical Education Teacher, will retire effective July 1, 2016, with 35 years of Ridgewood service. The 70th Anniversary of Jamboree is coming up. We are desperate to find former scholarship awardees. If you were one or know of anyone who was please, please, please contact us at RidgewoodJamboree@gmail.com. Thank you!! 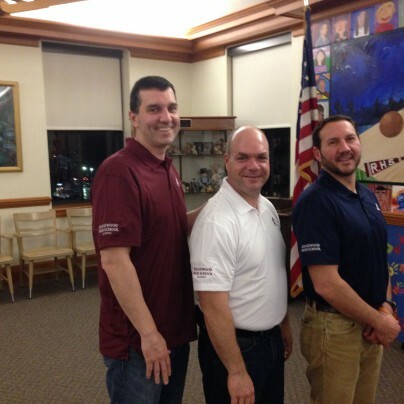 RHS trustees rocking the newest samples of golf shirts. Coming to the website in 2016. Tracy Marshall-Alpern RHS 1978. 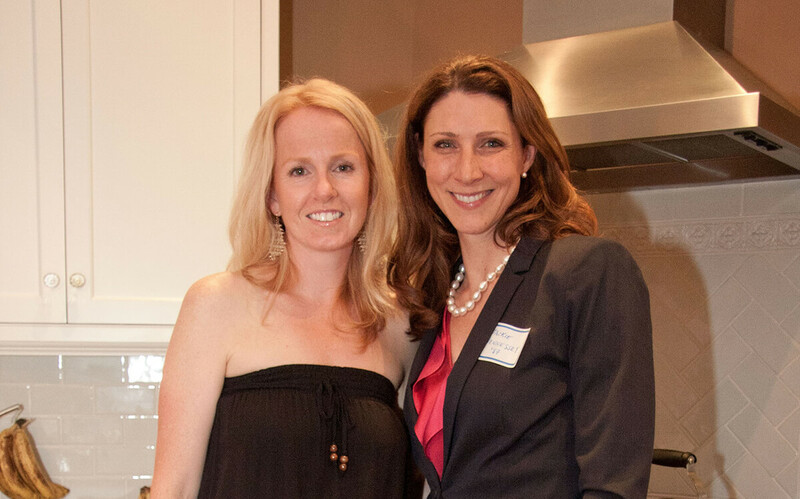 Help support a budding entrepreneur and indirectly the greater cause of economic literacy. Claire Eddins RHS Class of 1977. 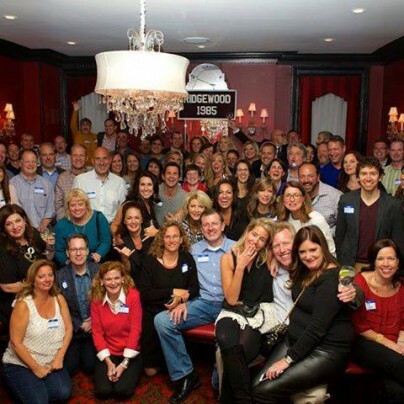 Class of 1986 30th Reunion coming up next Thanksgiving weekend. 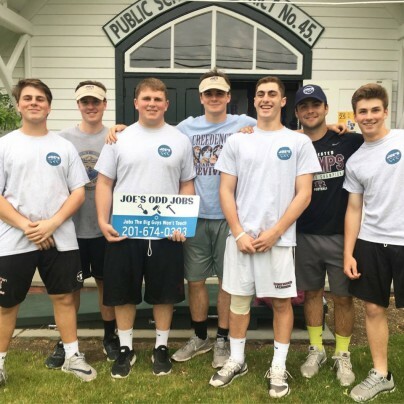 This is exactly the sort of program I envision the RHS Alumni Association creating, sponsoring and providing volunteers for. Until today I had never heard about this program for students interested in health care professions. It is in its 10th year. Hi everyone. So Travell's 50th anniversary is this year. Please see details below. 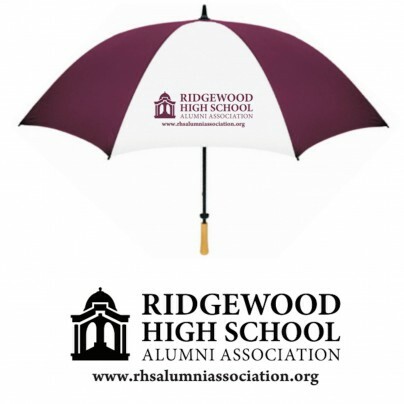 RHS Alumni Association Umbrellas and Blankets coming soon for the Holidays! Thank you Tom Gorman from the class of 1985. We truly enjoyed our tour of RHS and stroll down memory lane. The school looks amazing and thank you for your time!!! 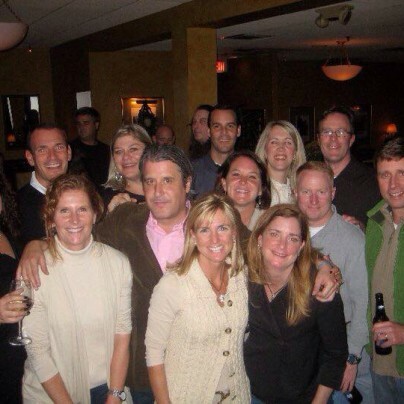 Class of 1985 Celebrating their 30th Reunion at The Ho Ho Kus Inn. 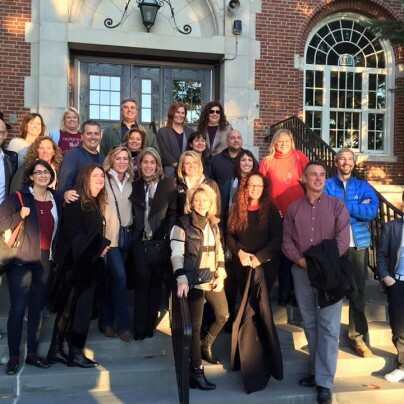 RHS Class of 1975 on their tour of RHS. Thanks to Principal Tom Gorman, Class of 1987, for leading the tour. 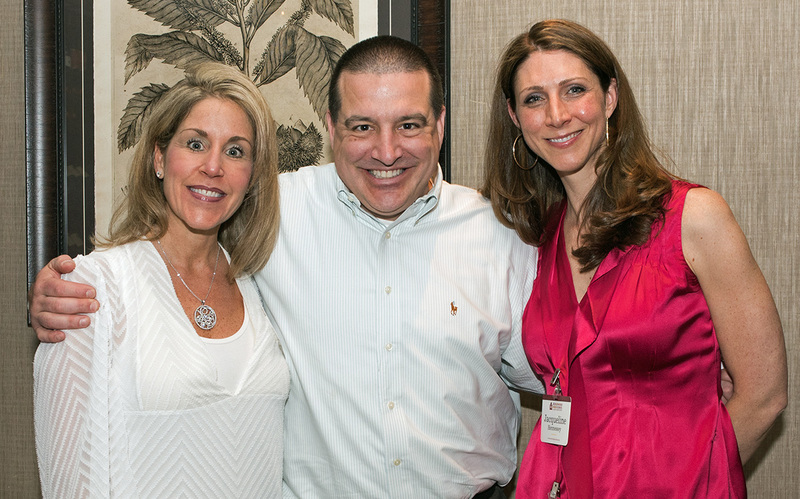 Andrew Halperin, RHS Class of 1985. 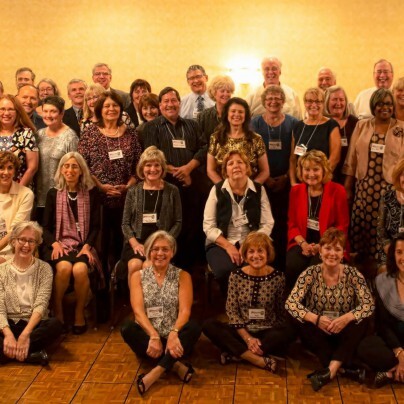 The RHS Class of 1970 had a wonderful 45th Reunion! RHS Class of 1970 45th Reunion! RHS Class of 1975, Paul S. R. Chisholm One of the people behind 8.8.8.8 I stand corrected. Parke Muth Class of 1975 has some words of wisdom for us all. 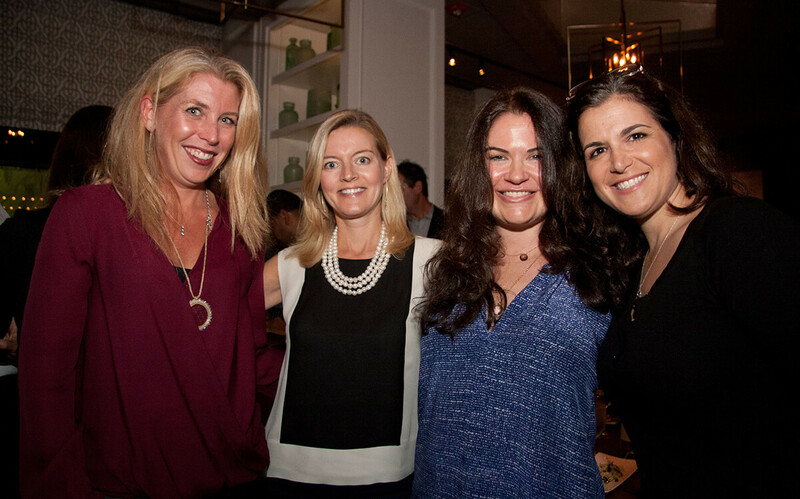 Class of 1995 Reunion on 10/10. If you would like to attend, please let me know ASAP. 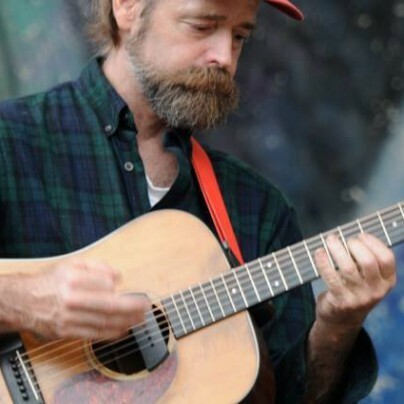 Come see 1985 Alumni Robert Cassidy during his east coast tour. 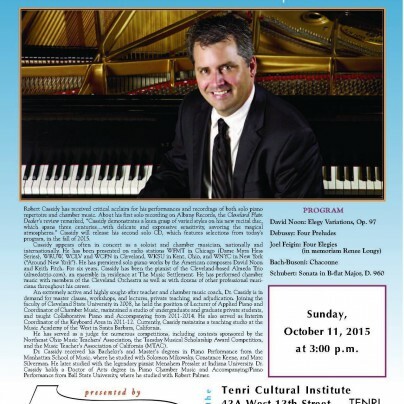 October 11th, 3pm at the Tenri Cultural Institute. Some yummy treats to help us celebrate our website going live!! 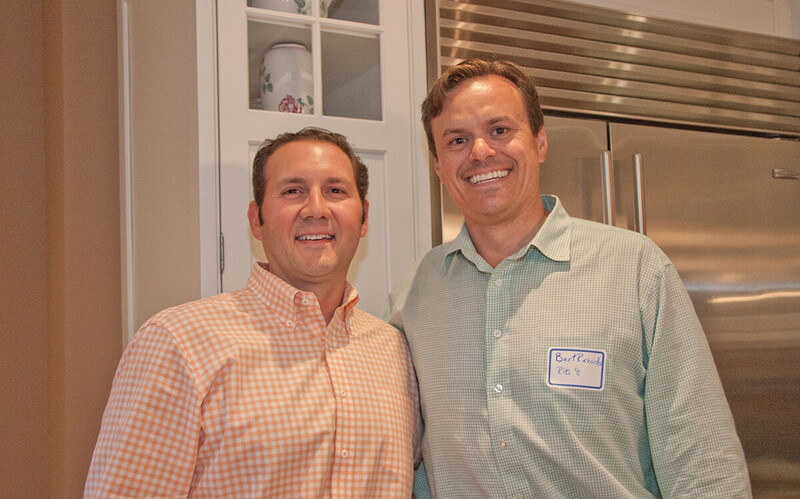 Thank you, Tom Gorman (RHS Class of 1987). Just goes to show the dedication of RHS graduates. 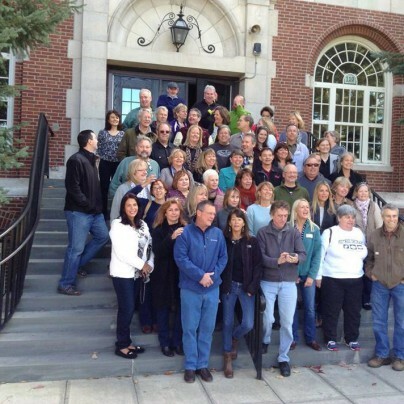 RHS Class of 1985 warming up for their 30th Reunion next month. 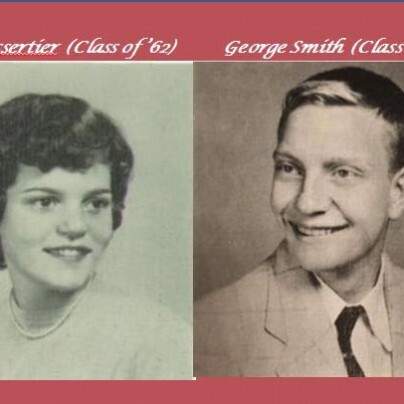 RHS Class of 1960 55th Reunion in two weeks!!! 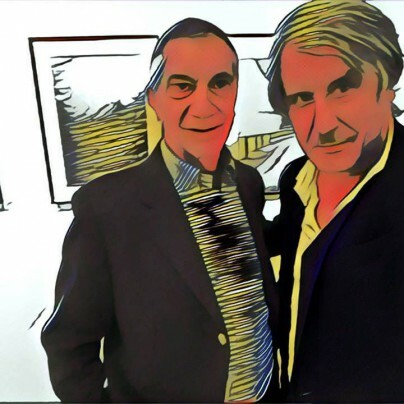 Oct 3, 2015 at the Park West Loft, 30 Oak Street. 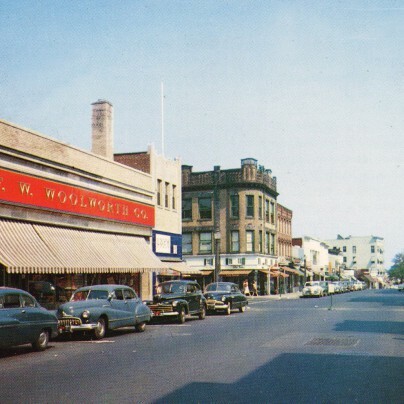 Ridgewood, NJ. If you haven't received or responded to your invitation reach out to Dave Ackerman at daveack1@aol for last minute instructions. 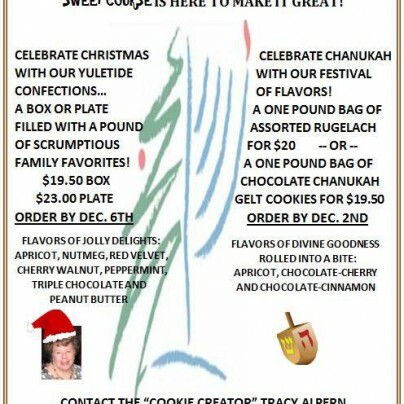 Sharing -- Let's help out Jane Ratliff's (Class of '77) good work!! 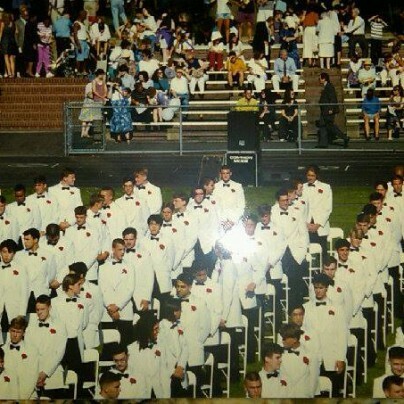 RHS Class of 1985 is holding their 30th reunion next month.....info as follows: WHEN: Saturday, October 17, 2015 WHERE: The Ho Ho Kus Inn One E. Franklin Tpk. 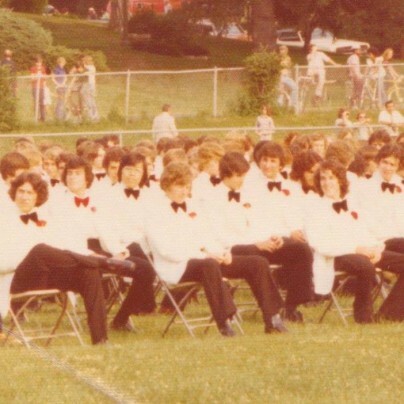 RHS Class of 1980. Timothy Burns, my catcher on two Willard Summer Championship Baseball teams, doing one of the most significant things a father can do for his daughter. Can you see this is a first day of school? We will never forget Coach Tony Napier .!!!! 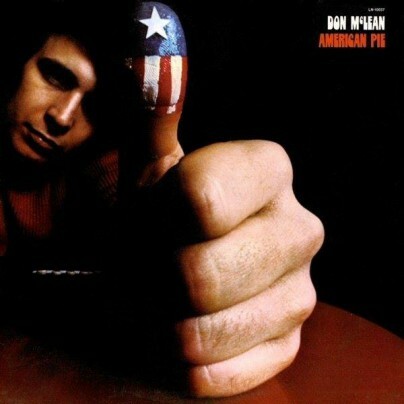 He was the best! 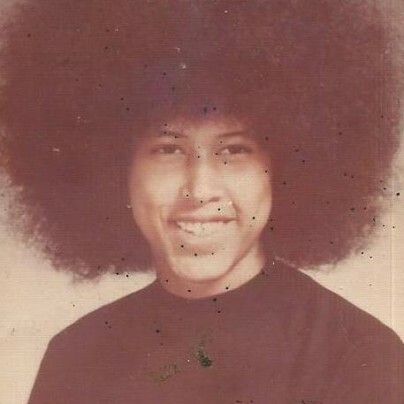 RHS Class of 1977. An old article but I can testify that Becky continues to shine. 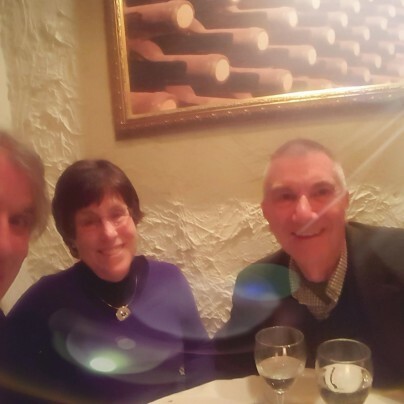 Laura Fleming posted in Ridgewood High School Alumni Association — with Basil Pizzuto. Hi eveyone. 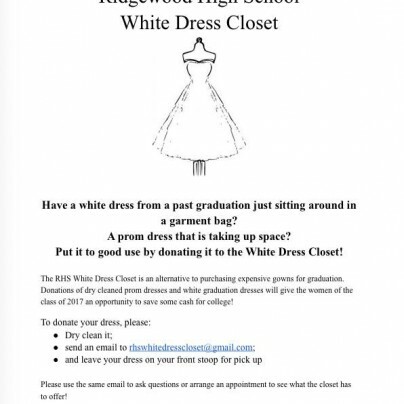 If you would like to help support Ridgewood Football, please check out the link below. 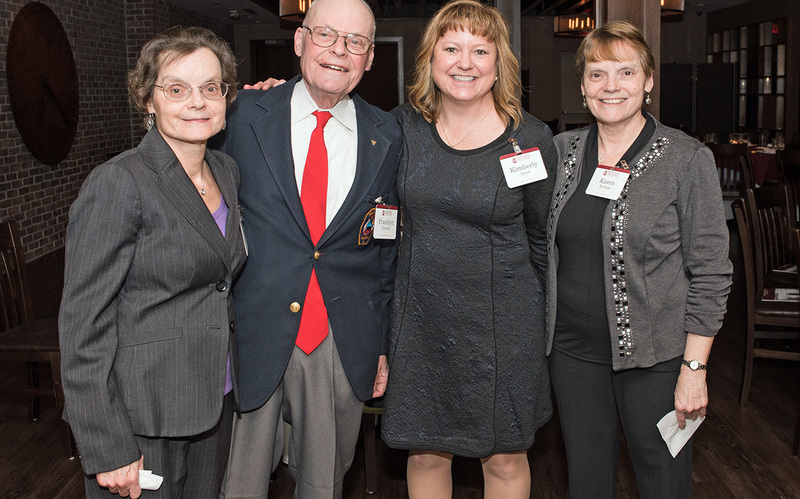 The "Magnificent Seven" Marjy, Bob, Gail, Art, Nancy, Phyllis, and Marcia class of "61" 50th reunion committee. 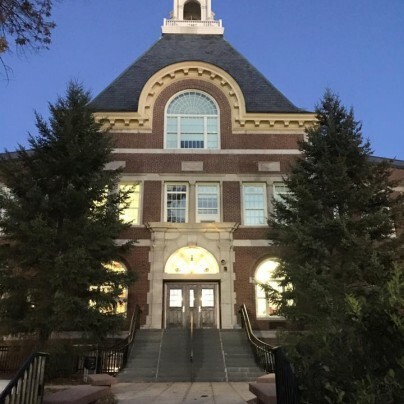 Last night was the Ribbon Cutting Ceremony for the Learning Commons. Wow would be my one word to describe the transformation of this space. Congratulations and thank you to everyone who made this happen. Hopefully you can make it. How many RHS alums call Texas home? 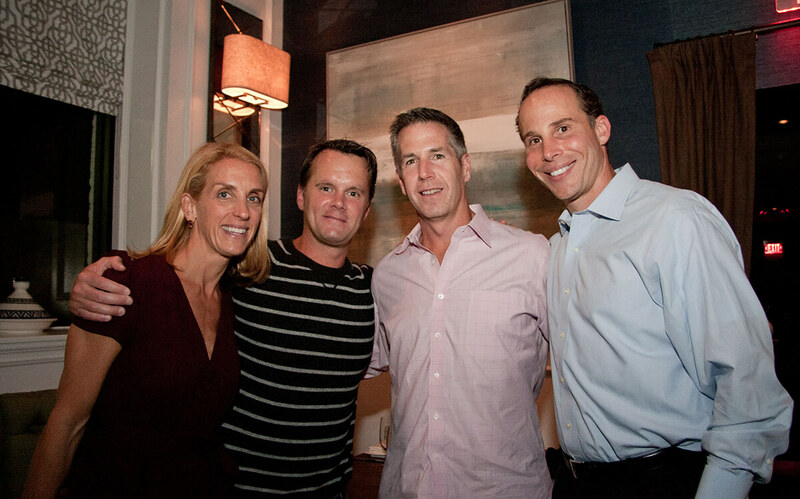 Southern reunion? Ridgewood Jamboree invites you to join us for our 70th Anniversary production. 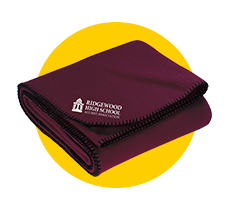 "Ridgewood Rewind" will be performed February 3, 4, 5 and 6 at Benjamin Franklin Middle School. Please go to rhsjamboree.org for more information and ticket sales. 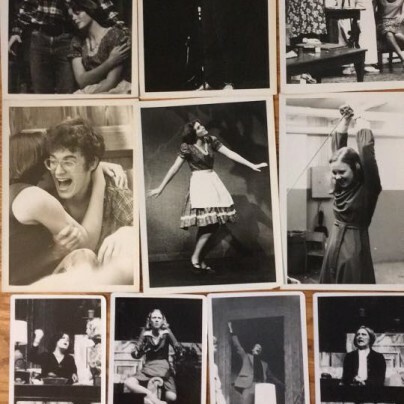 Since 1947, Jamboree has presented an original musical revue to raise need-based scholarship funds for college bound Ridgewood High School seniors. Over 125 RHS parents and guardians contribute each year by performing on stage, designing costumes, building sets, and working back-stage. Please come out to support this cause and these talented volunteers. 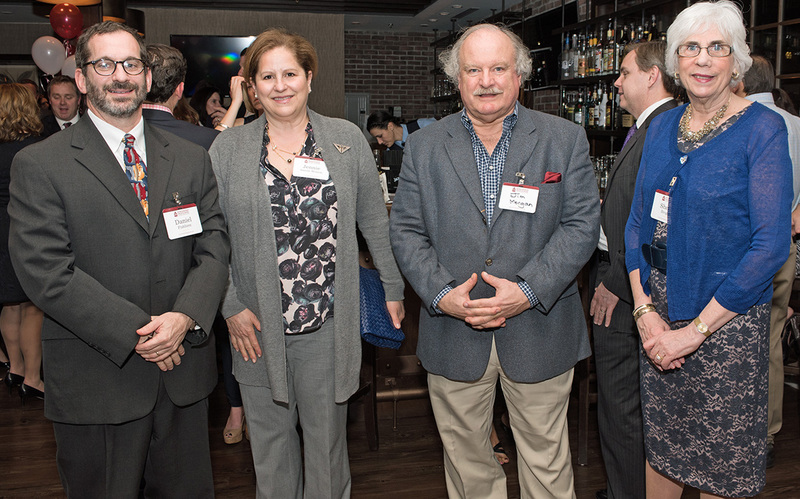 On March 10th, the Ridgewood High School Alumni Association inducted five new members into the Distinguish Alumni. 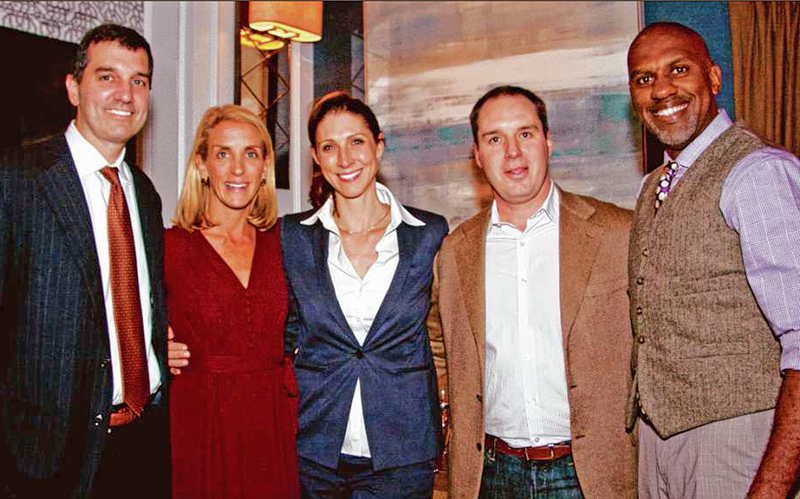 This event occurred at Park West Tavern Loft in Ridgewood NJ. 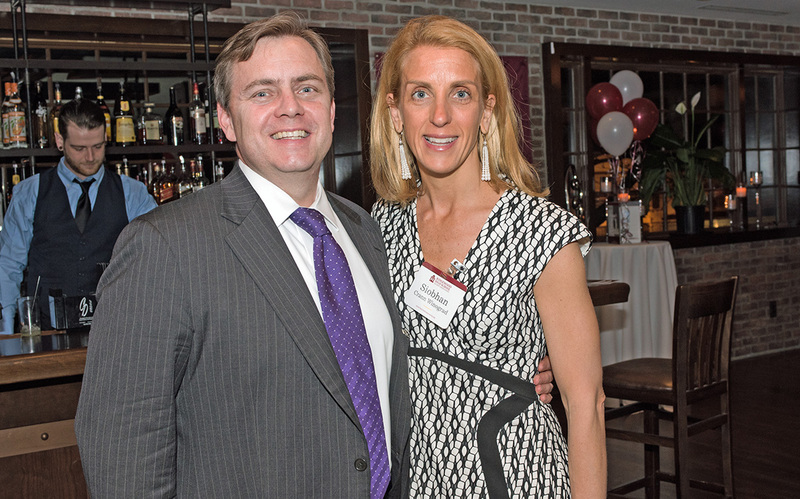 On October 1, 2015, Hope Wright '84 Cunningham and her husband, Matthew, hosted the "Go Live" RHSAA web launch party at their home in Ridgewood. 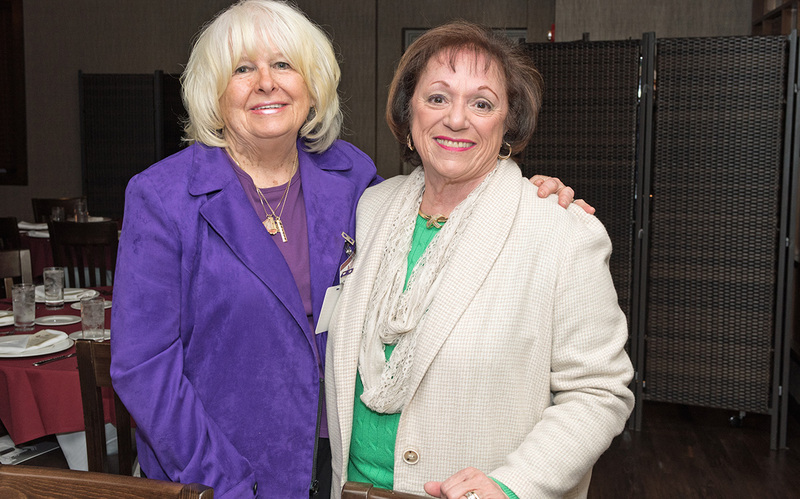 The event drew alumni from Ridgewood, Manhattan and surrounding towns and included RHS graduates from the Class of 1960 to Class of 1995. 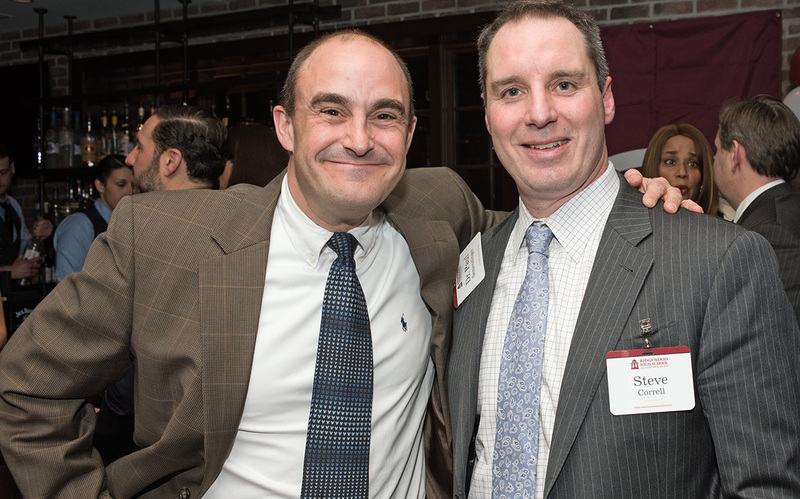 Keith Dawkins '88, president of the alumni association, and Tom Gorman '87, principal RHS, welcomed guests and spoke about their vision for the future and how the alumni association was formed. 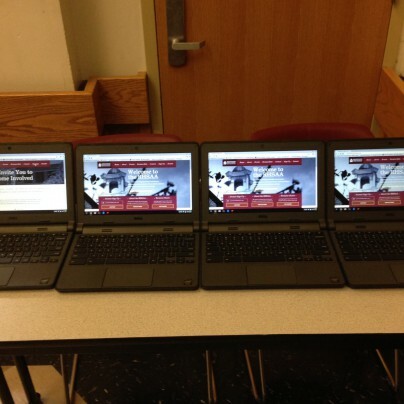 Guests were encouraged to "BYOD" (bring your own device) to log in, register and check out the newly launched and awesome website. 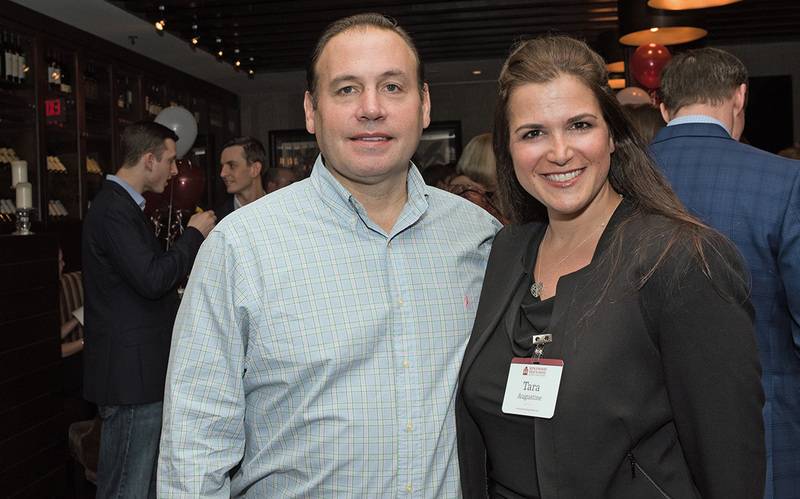 Attendees socialized, reconnected with former classmates, met new friends and enjoyed cocktails, an array of tasty appetizers and delicious desserts. 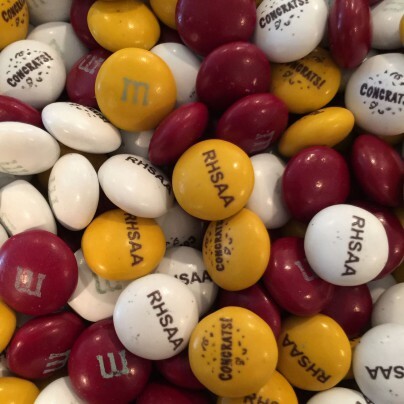 This event is just the first of many exciting steps the RHSAA will be taking this calendar year. Please be sure to sign up so you can keep up with the RHSAA events and connect with RHS alumni and old friends. 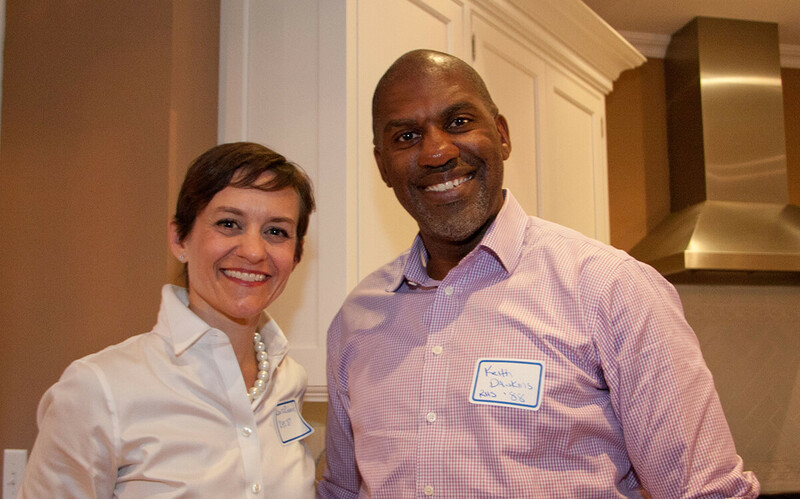 On June 26, 2014, Siobhan Crann Winograd (RHS 1991) and her husband, Michael Winograd, hosted an open house wine and cheese party at their Ridgewood home. 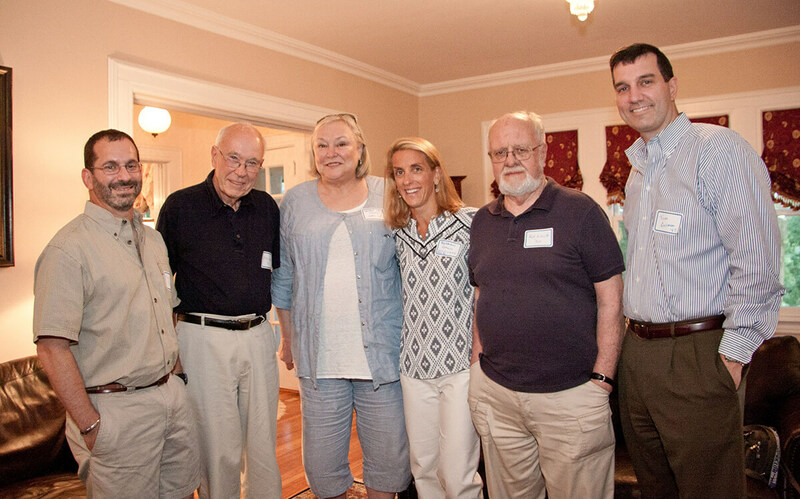 Over forty alumni spanning the years of 1947 to 2002 attended the mid-summer casual event. 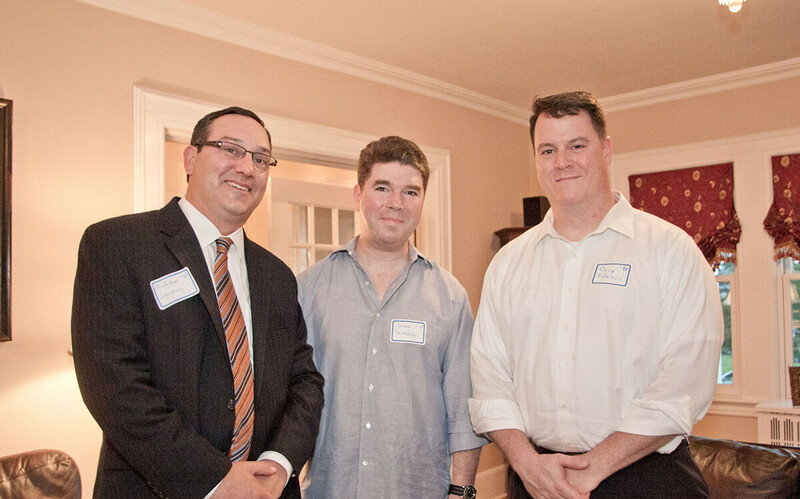 Tom Gorman (current RHS principal and class of 1987) and Dan Fishbein (current superindentant) gave short speeches and offered their support to the emerging charity, Ridgewood High School Alumni Association. 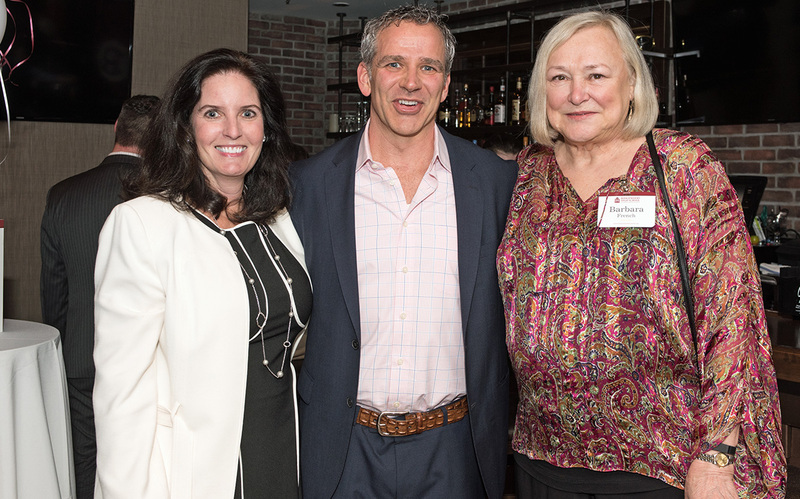 On October 2, 2014, the newly formed Ridgewood High School Alumni Association celebrated its inception at a private event at Novo, a local Ridgewood restaurant. 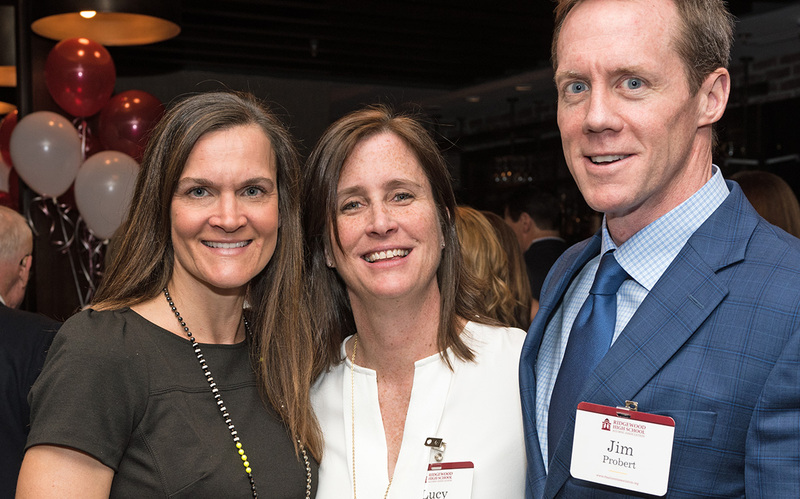 Over 65 alumni attended the event where the newly founded board of trustees was unveiled. 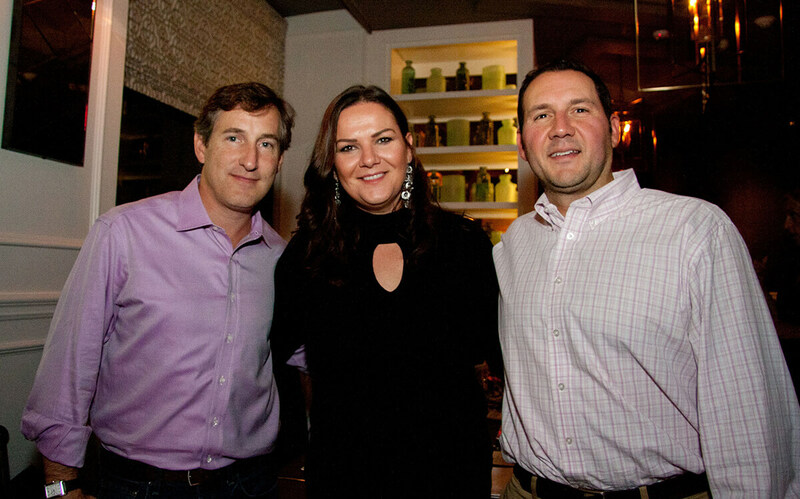 Pre- Dinner cocktails were enjoyed at Park West Tavern where the signature drink, The Wood, was created to celebrate this exciting new endeavor. 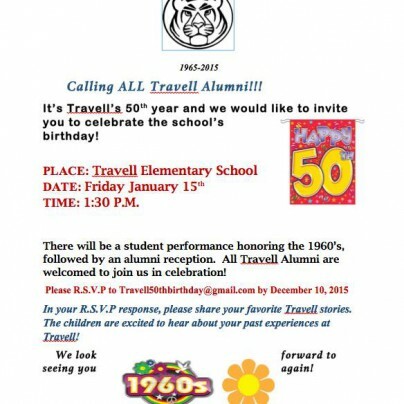 On Friday, January 15th @ 1:30 p.m. Travell Elementary School would like to invite all alumni to celebrate the school's 50th anniversary. 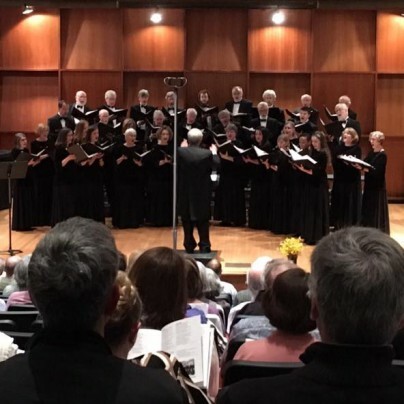 There will be a student performance honoring the 1960 decade, followed by an alumni reception. 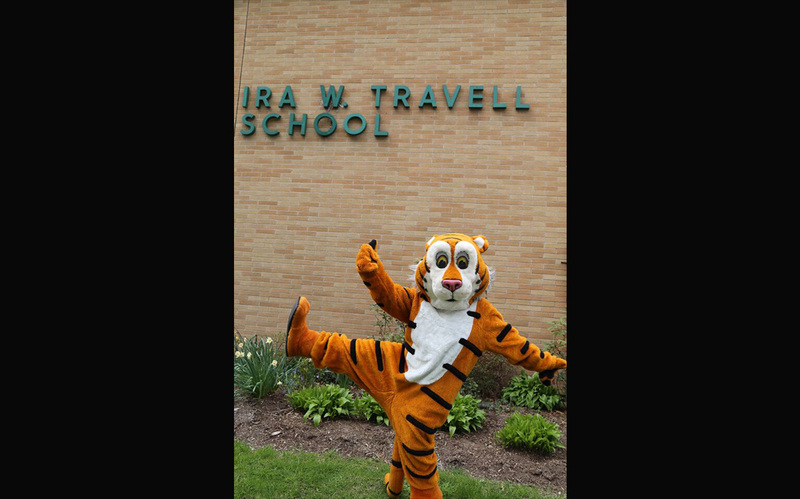 All Travell Alumni are welcome to join in the celebration. Please RSVP to Travell50thbirthday@gmail.com by December 10, 2015. 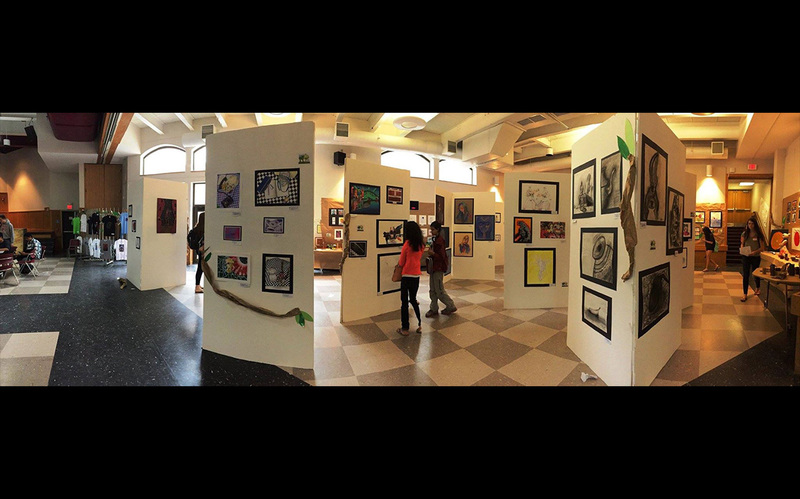 Find out what's happening at RHS through their weekly newsletter.